Bhrūkuṭi / Rabīndranātha Siṃha. Kaṭaka : Sāthī mahala, 1963. From the University of Chicago Library. ଭ୍ରୂକୁଟି Bhrukuti by ରବୀଂଦ୍ରନାଥ ସିଂହ Rabindranath (Rabi) Sim. 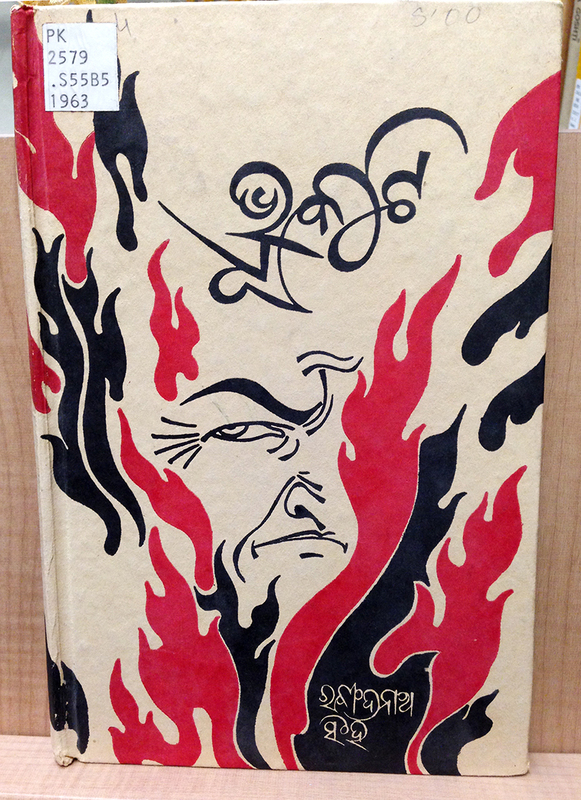 A frightening, frowning, flaming book of Odia poems. Though I still have trouble deciphering many of my Odiya book covers that are more calligraphic/handwritten in style, I think I got this one right! Side note: Now that Google Translate’s Odia support has disappeared, it is nearly impossible for me to find any information on books like this. Sad!